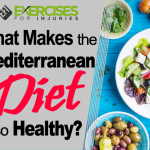 Alongside exercise, diet plays a fundamental role in helping maintain a balanced and healthy lifestyle, and ensuring you eat the right balance of nutrients can go a long way to helping you achieve your personal weight-loss goals and provide your body the raw materials it needs to function and thrive. However, in a society dominated by convenience eating and a fast-food culture, it is becoming increasingly easy to rely on heavily processed snacks and carb-heavy meals to get us through the day. Ensuring meals are healthful, nutritious and tasty need not be challenging or time-consuming. 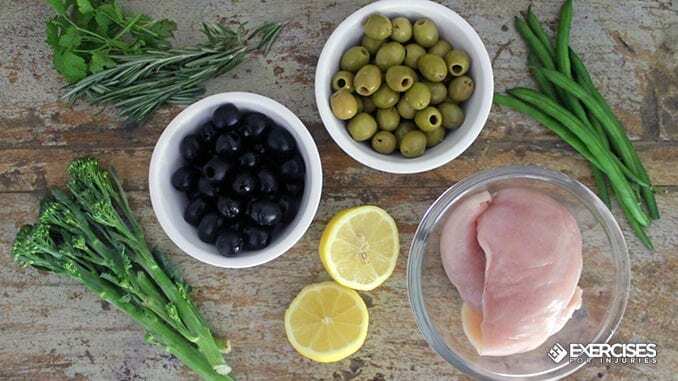 This deliciously simple chicken dish is accompanied by a flavor-packed, tangy olive tapenade and zesty green vegetables, providing you with a sumptuous portion of healthy fats, a rich source of protein and a healthy dose of low-carb green vegetables. Ideal as part of a healthy balanced diet, this dinner is quick to prepare and loaded with flavor. This dish will not only tantalize the taste buds but also boasts some impressive nutritional stats. As always, this delicious dinner is anti-inflammatory and free of dairy, gluten and refined sugars. It is a perfectly balanced meal for any night of the week. 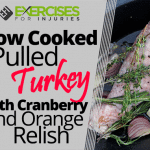 This recipe utilizes chicken breast to provide a lean source of protein. Protein is crucial in our diets for growth and repair, and just one chicken breast can provide half of our daily protein needs. It is always worth opting for free-range chicken where possible as this offers far superior nutrition to that of conventionally raised poultry. 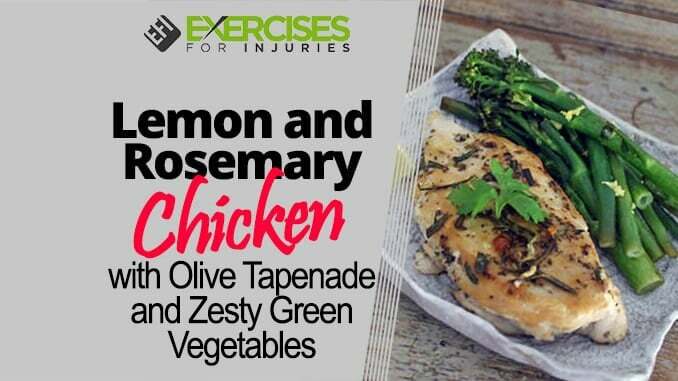 The chicken is cooked simply with the addition of anti-inflammatory herbs, rosemary and oregano. Rosemary is a potent antioxidant, renowned for its inflammation-fighting and digestive soothing properties. 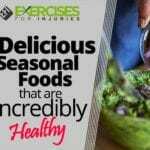 Oregano boasts an equally impressive array of health-giving properties. Packed with essential vitamins and minerals, this super herb also exhibits antifungal and antimicrobial effects. Olives and olive oil provide this meal with a generous dose of healthy fats. That’s right — fat can be healthy. Not only does the humble olive deliver inflammation reducing fats, but it is also purported to exhibit cancer-fighting properties and support a healthy heart. When selecting olives, the higher the quality, the better. Try to find olives preserved in olive oil or salt where possible. Stone-in olives are also preferable, but good-quality pitted work well in this dish and are time-saving for weeknights. For an added boost of flavor and a little zing, lemon juice and zest is used throughout the dish. 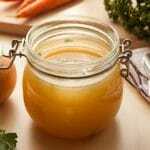 Aside from offering the dish a refreshing twist, lemon aids digestion as well as contributing a generous dose of vitamin C.
The final component of the dish is a generous helping of green, nonstarchy vegetables. Low-carb veggies are at the foundation of every balanced diet alongside good-quality proteins and healthy fats. Here we have used broccoli rabe and green beans, two nutritional powerhouses in their own rights. Packed with fiber, vitamin C and essential minerals, broccoli rabe is an anti-inflammatory superfood. Green beans deliver an equally impressive vitamin and mineral content, alongside the potential to support bone health and maintain bone density. Ready in just 20 minutes, this is a great recipe to prepare for dinner guests. If needed, adjust the ingredient quantities as appropriate. Packed with so much mouth-watering flavor, they will think you’ve spent hours in the kitchen. 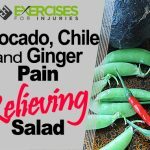 This recipe provides two servings as a healthy lunch or dinner. Any leftover tapenade makes a great addition to a lunchbox salad. 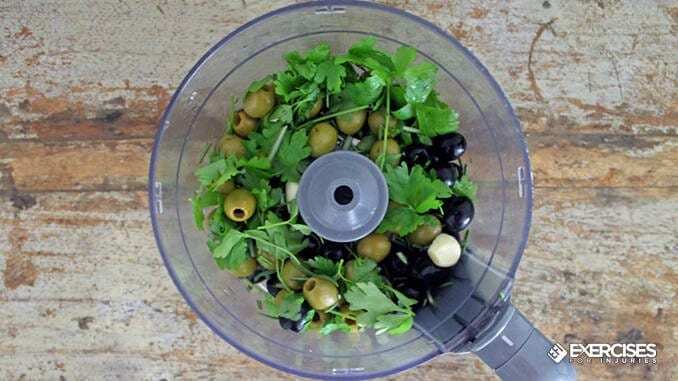 Add the olives, garlic, rosemary and parsley to food processor. Pulse all ingredients briefly until finely chopped. Add olive oil and balsamic vinegar to food processor. Season with salt and black pepper as needed and blend to a chunky paste. Reserve to one side until ready to serve. Preheat oven to 400F. Cut a large rectangle of foil and place across a small shallow baking tray. Add green beans and broccoli rabe to foil. Sprinkle with lemon juice and olive oil and season with salt and black pepper. Using your hands, massage the oil and seasoning into vegetables. 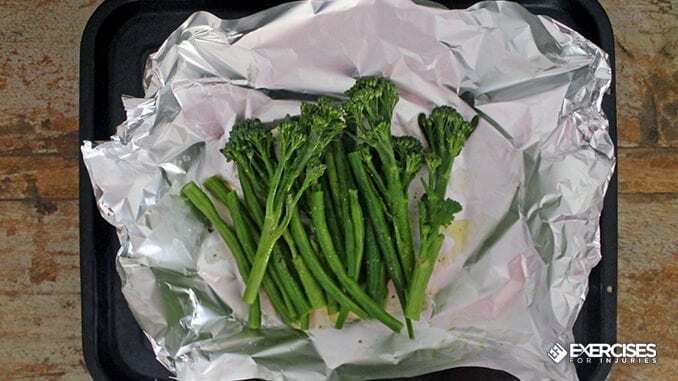 Bring the sides of foil together and enclose the vegetables in a tight parcel, ensuring there is enough space inside for steam to circulate. Transfer tray to oven and bake for 15 to 18 minutes until vegetables are tender and slightly caramelized. 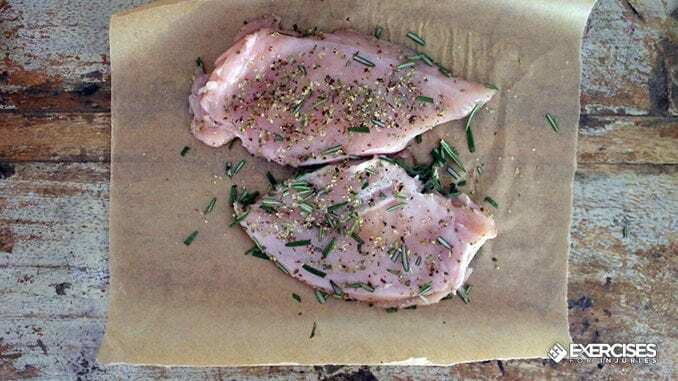 Place chicken breasts on sheet of parchment paper. Season chicken breasts with salt, black pepper, rosemary and oregano, coating on all sides. Cover the chicken with another sheet of parchment paper or place in a large, resealable plastic bag. Use a rolling pin to pound the chicken to an even 3/4-inch thickness. Add olive oil to large frying pan over medium-high heat. Once oil is hot, add chicken and fry for 3 to 4 minutes on each side until golden and cooked through. Add lemon juice and lemon zest to pan and remove from heat. Spoon the juices and zest over chicken. 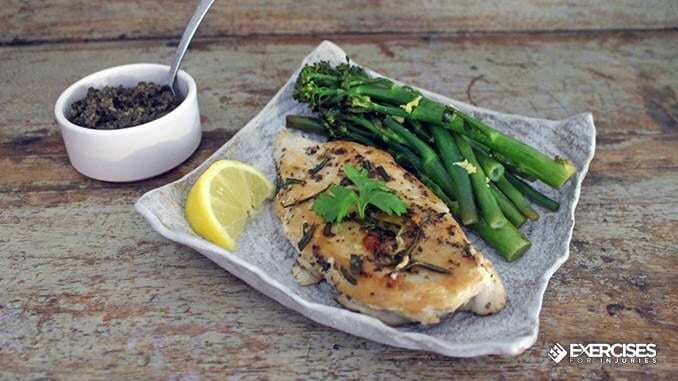 Add chicken to serving plate with cooking herbs and juices. Plate green vegetables with cooking juices and sprinkle with lemon zest. Serve with a generous helping of tapenade, lemon wedges and fresh minced parsley.